Arie Rutenberg, former student of mine at Technion, went on to build Israel’s leading advertising agency Kesher Bar-El (now, McCann-Erickson). He has now embarked on a new career. His new venture is called Club 50, founded together with Amnon Herzig, and offers a variety of services to those over 50 who seek to build a second productive life. It already has 150,000 members. 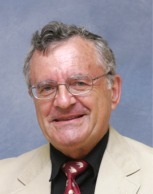 Ruttenberg enlisted Carlo Strenger, Tel Aviv University psychologist, as co-author. Their new book Life Take 2: The Freedom of Midlife will appear soon, and their Harvard Business Review article “The Existential Necessity of Midlife Change” has just been published. We often believe that innovation and entrepreneurship are only for the young. But take, for instance, Shimon Eckhaus. A successful serial entrepreneur, he embarked on his career only after retiring from Rafael (Weapons Development Agency). He attributes his success to his age. “I did not have time to fail,” he says. So he looked for product ideas that were very practical, met a need and could bring immediate revenue. For him, “Life Take 2” brought adventure and satisfaction. In 1976, Dr. G Venkatataswamy, popularly known as Dr.V, retired from Government service as Professor of Opthalmology in Rajaji Medical College, Madurai. On retirement, … he returned to Madurai to devote himself to the mission of eradicating preventable blindness among the poor in the immediate geographic area, southern Tamilnadu. He established an 11-bed facility in rented premises – the Aravind Eye Care Clinic, with support from his family members and other well-wishers. They adopted a model that judiciously combined both business and social orientations – in which one paying patient would subsidize TWO free patients. This has resulted in a SUSTAINABLE organization which generates enough surpluses to fund its own expansion activities, with minimal external monetary support. It has expanded throughout India, became the gold standard of eye care for the poor worldwide, and restored sight to many many thousands of Indian villagers suffering from cataracts. A final word- Very nice collection of brain exercises. So inspiring! !